Location: Some 600 metres north of John Ings Gate about 1½ metres east of the boundary wall. 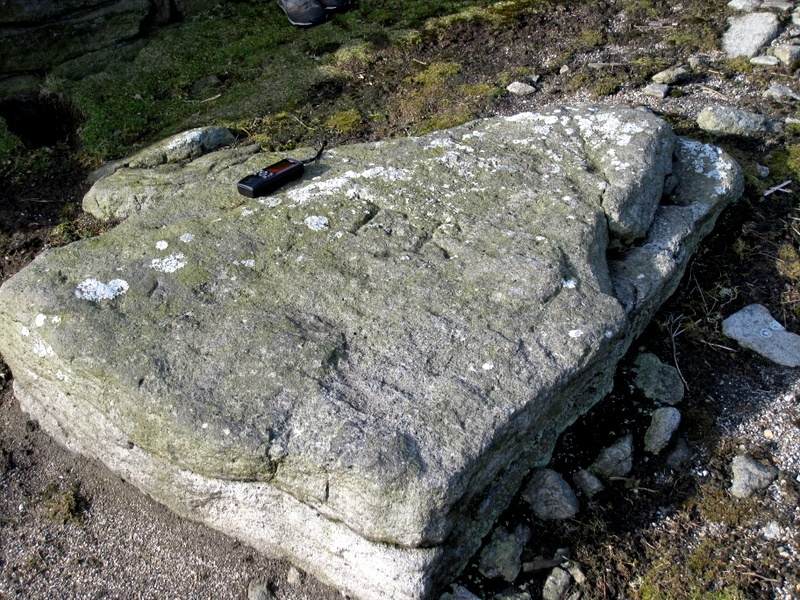 A large flat stone lying in the ground. The light has to be just right to see the engraved initials. This may be a meerstone, or it may be the doodle of a bored waller.